"Pricing will be $25.00 for 1 day of shooting. Either PCP or Spring Piston. $50.00 if your shooting both days". 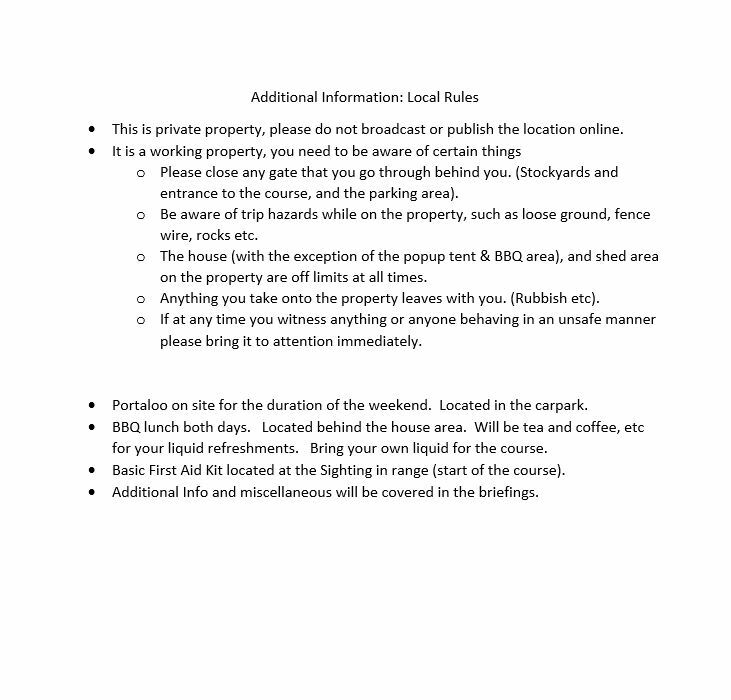 Does this mean PCP shooters can have a practice on the course on Saturday? Apologies, not a clear original post. No as per previous years, the format of the Nationals is not being changed. So Springer on Saturday - PCP Sunday. PCP will not be able to practice on the course on Saturday. If you are shooting "both days", means you are shooting Springer on the Saturday, and PCP on the Sunday. Otherwise choose which day and class you are shooting. I would have thought, in the 'spirit of the game' all National course layouts should be unique. In other words, no host club member/shooter from another club, will have practiced on any lane prior to the Sat Spring Piston/Sun PCP. 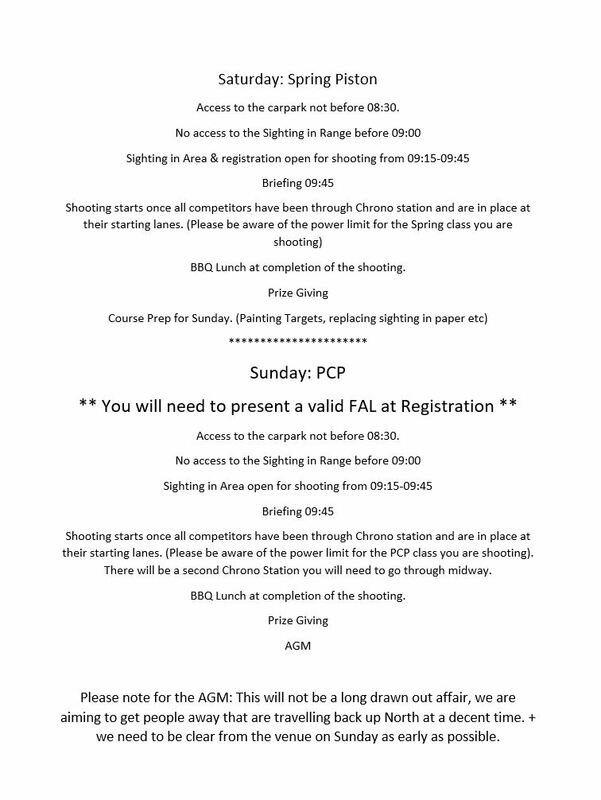 Being a PCP shooter, my legitimate solution was to set-up a spring piston & compete on the Saturday, to gain some appreciation for what to expect on the PCP Sun. I understand how wording ambiguities/interpretations can be present, if not written by a legal mind. i dont see the point having two different courses. 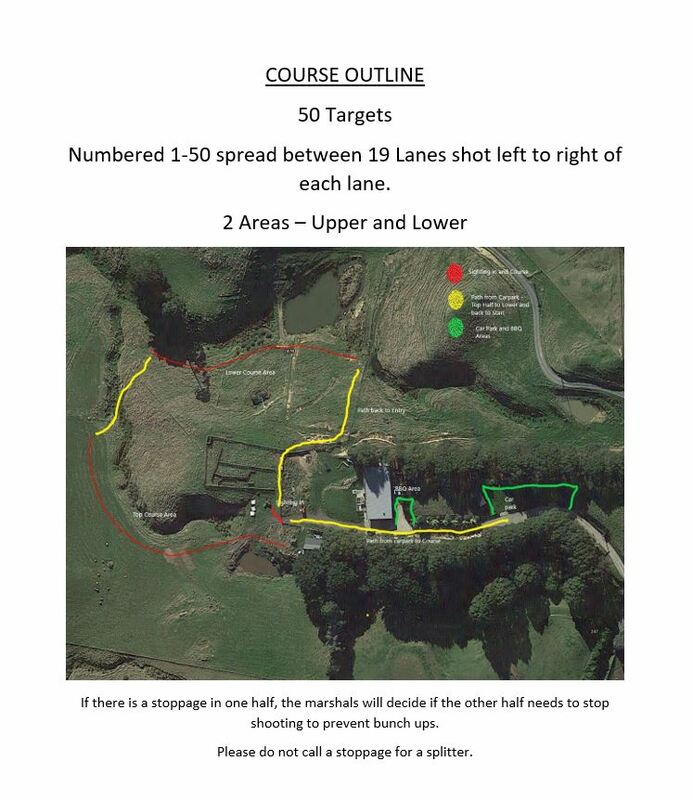 50 targets shot once yes, but two different courses no. i cant see any advantage for someone shooting that same course with a different gun the day before. 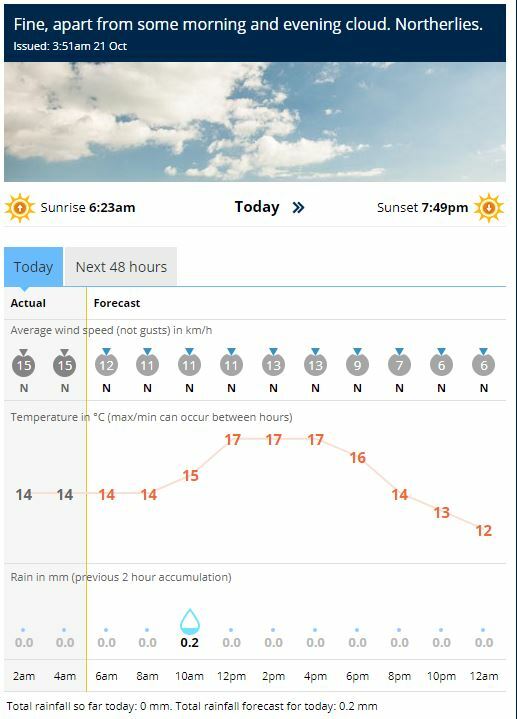 New Zealand weather is the big factor here. no two days are the same. windy one day rain the next and sunshine the day after! it is very unlikely to get both days with exact some conditions. plus are you going to remember every target you shot and how you shot it the next day? i dont think so just look now 25 targets shot twice is the morn. how many of you do better the second round? not many. was there any advantage? The plan at this stage is to have a 50 shot course. Both days. With very small changes for the Sunday PCP guys if at all. The wind at our venue, will challenge everyone. Whether it's a small breeze or blowing hard out. Please are there any updates on registration numbers & do 2017 trophy recipients need reminding about returning their cup's for the Sunday prize giving? Correct. Will speak to you regarding the other details, when not at work..
Do we have an update yet ?? Patience, it's not the end of the weekend yet. (Working on the info at the moment). That's true but if you notice, the original quote is from TWO weeks ago. I know. I don't work to a normal schedule though. So my weekends are sometimes weeks long. Looks great... can we get an update on who has entered and what classes? When I asked for registrations/indications of numbers I kept it fairly simple and generic, ie Spring / PCP etc. I didn't ask for class on the form, as I didn't want people to feel locked in to something. The list of people who have registered so far. I believe Andy Evans is shooting PCP HP, unless he has sorted his 12ft rig. This is of course not counting people who may be coming, that are not on the forums, have registered etc etc. Any updates or titivations please? No titivations. The weather has been too cold for that. At this stage have received no more online registrations, nor any via email. So what is above is who is coming to the best of our knowledge. Speaking of weather. 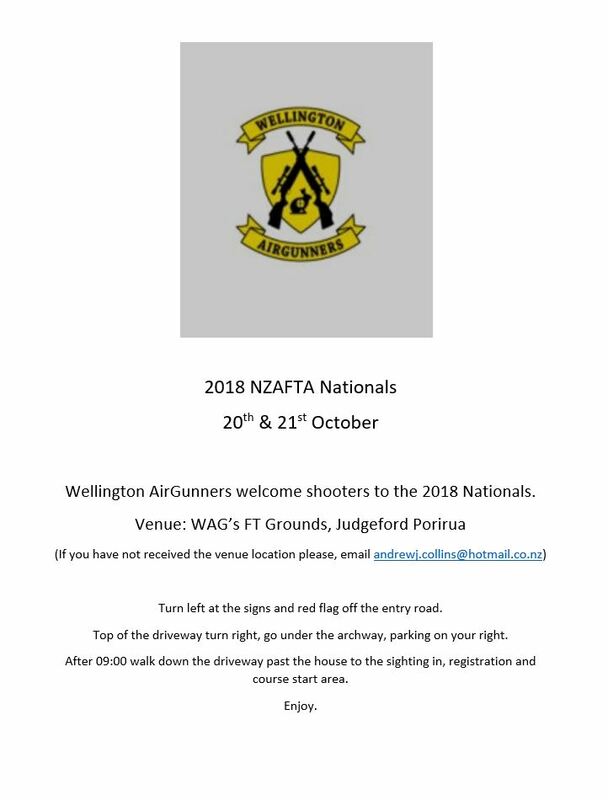 This is Wellington, so to those that are coming, bring your wet weather gear. We sacrificed to the weather gods as much as we could, however they are a fickle bunch here in the Sth of the North. So anything could happen. Will post a weather update on Friday. 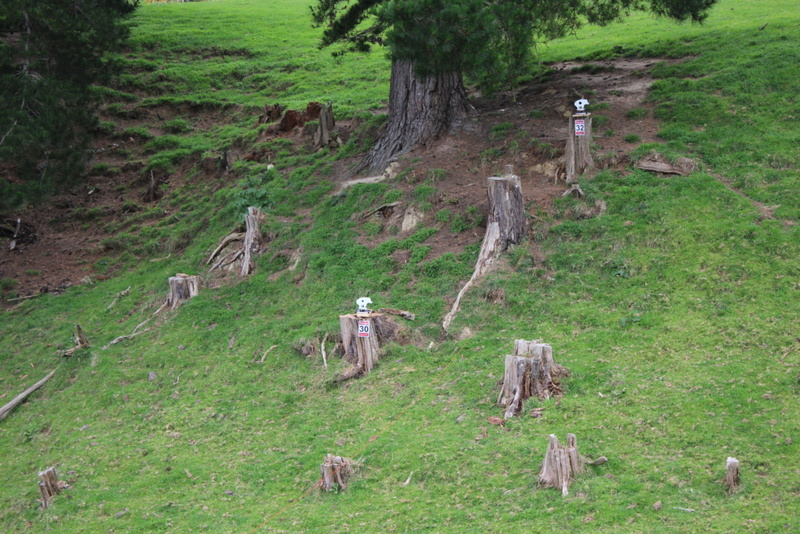 Please note, the landowner has offered us the use of the parking area behind his house. Which is 30 metres away from the sighting in range. So ignore previous about parking in the paddock at the top of the driveway. When you arrive at the venue, continue down the driveway past the house. Turn right before the gate with the flag on it, and park your vehicles in this area. Still not before 08:30 though please. Heres a weather update for you. 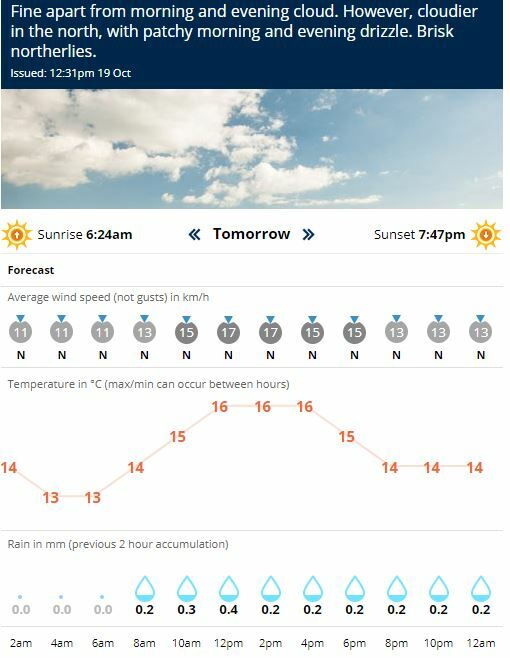 It's Wellington so it could be completely different in the morning. For those eager beavers out there waiting for a Nationals Report. I'm going to take the rest of Sunday evening to just chill as I've been going non-stop since Wednesday. (Along with the other organisers, and helpers). I'll have the scores and an initial report up Monday evening for you. Day 1. Saturday Spring Piston Day. Wind, a little bit, then a lot more. It is Wellington however, so it shouldn't have been an unexpected thing. 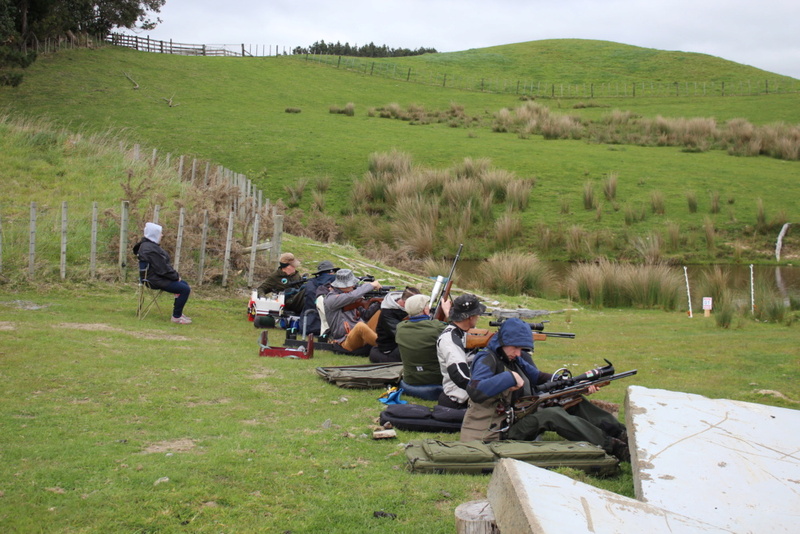 8 Shooters lined up to battle the elements and the ferocious knockdowns that were placed around the course in challenging locations and at distances. "90 degree to the Wind Standers, you b.....d" was heard a couple of times, as well as some choice words directed at whoever ordered the wind. Everyone made good time around the course. A couple of target calls, sorted with no stops. 1 target had to have it's paddle bent a little, re tested and it was good to go. Hits awarded to the affected shooters. 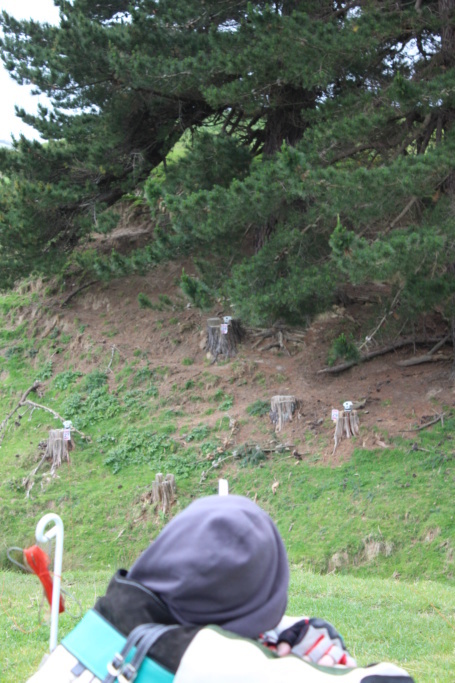 There were visible pellet strikes on the kill zone itself. BBQ lunch, and Awards. Everyone was clear by 3:30pm. 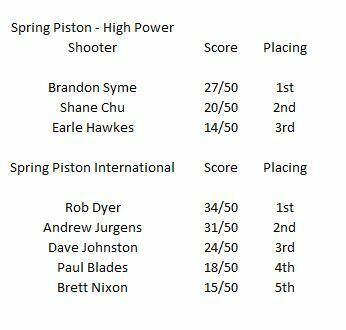 The results for Day 1 - Spring Piston. Congratulations to all the shooters. Was a challenging day in windy conditions.